Lucknow in Uttar Pradesh is experiencing a flourishing real estate market. Several companies have their offices over here in order to take advantage of the low cost of operations. The accelerating housing demand is leading to an expansion in the peripheral areas of the region like Gomti Nagar, Sitapur Road etc. The burgeoning IT sector, availability of large land banks, cost-effective property values, the strong footing of micro, small & medium enterprises, and robust infrastructural development are other attributes that have led to a fast & furious realty growth of the city. Not just the localities, the ‘city of Nawabs’ serves as an attractive place for NRI’s and HNI’s too. The last few years have seen a considerable rise in investments in the luxury segment. The modern lifestyle and enhanced living standards of the people serve as catalysts in fueling the realty growth in the city making it a major real estate hotspot. A lot of builders are showing interest in this region and are coming up with their landmark projects. 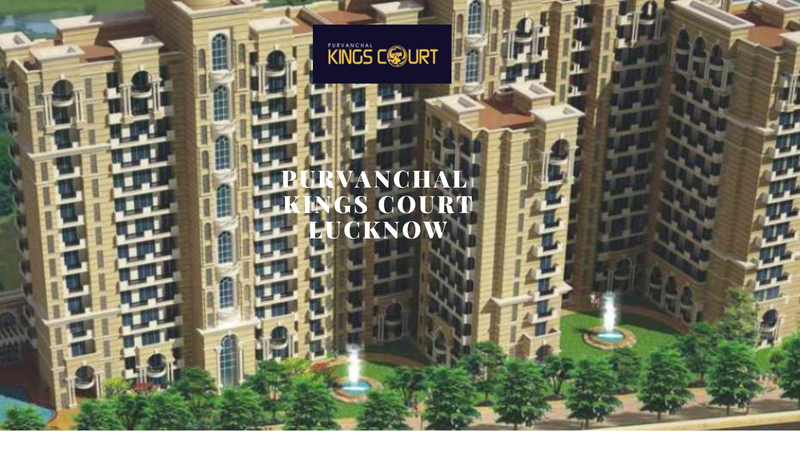 Kings Court by Purvanchal Developers is one beautiful example of the same. 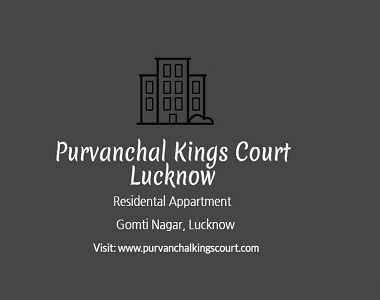 The property Purvanchal Kings Court stationed at Gomti Nagar, Lucknow is a wonderful residential project launched by the Purvanchal Developers. The regal offering is a green living project that offers you luxuries of life in the lap of nature. Sprawling across acres of land areas, the secure residential pockets comprises of 3 & 4 BHK residences spanning 2105 sq. ft. to 4110 sq. ft. Designed to impress, the homes have space-efficient project layouts with every inch of space being optimally utilized offering you more than expected. The large windows and spacious balconies allow a good amount of fresh air and natural sunlight to spread freely across the length and breadth of the place. Adorned with modern and sleek interiors, the homes add to the owners’ status and style. The grand development offers a plethora of fabulous amenities that keep you refreshed and reenergized the whole day long. The campus is packed with features of entertainment, recreation, health, and fitness. There is a large clubhouse, swimming pool, kids’ play area, a meditation area, jogging track, hassle-free parking, gym, vast open greens, round-the-clock water & power backup, professionally trained staff for the upkeep of the property, and tight security arrangement that make the place a heaven for its dwellers. Available at a splendid price range, the property is worth a buy. The price starts at Rs 1.12 crores and ends at Rs. 1.65 crores, backed by smart and possession-linked payment plans. Pay only 5% of the amount and book your unit! Located in Gomti Nagar, Lucknow, the property enjoys proximity to all the conveniences of life. 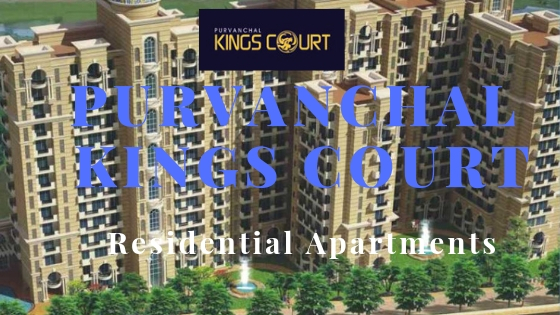 All in all, Purvanchal Kings Court Lucknow is a grand and spectacular residential project that lets you experience an extravagant and royal lifestyle in the sprawling city of Lucknow.